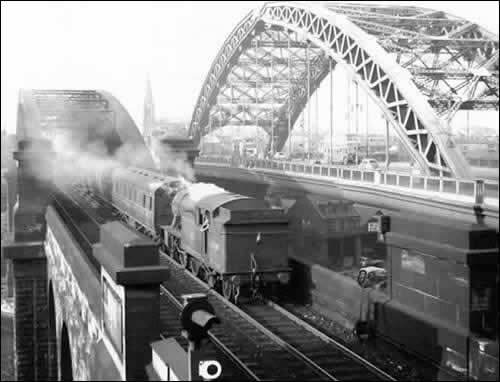 A great photograph of locomotive (engine No 67689) crossing the Sunderland Road and Rail bridge. Sent in by © Allan Edwards. 2-6-2T V3. Gresley design 5'8" wheels, 3 cylinders in a class of 92, built between 1932 and 1939. This was one of the last 10 built, so it was a V3 from the start.